After seeing all the joy and excitement the first Traveling Engine created, we feel that it may be time for another Traveling Engine. 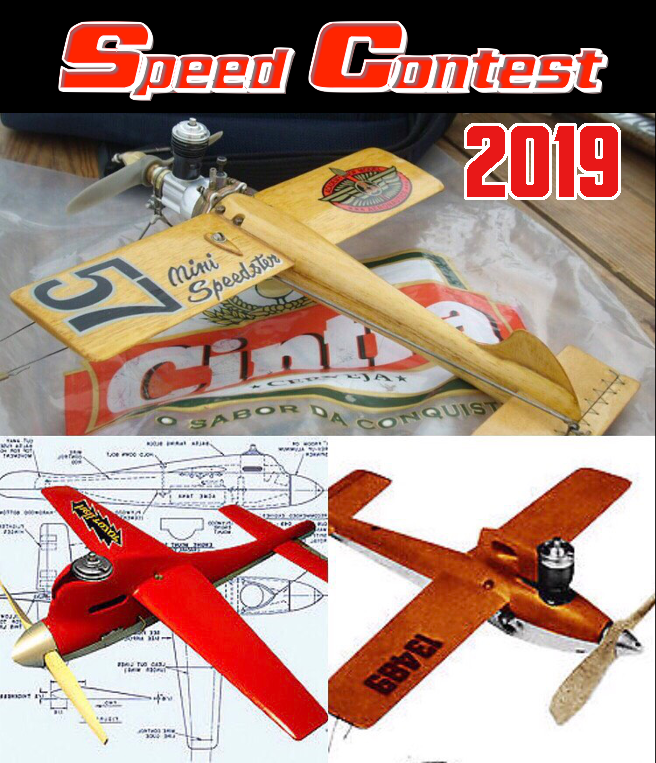 A few months ago, Jason Birnschein (Jason_WI) offered up a selection of engines out of his collection for the members to vote on and choose as the next Traveling Engine. The Tee Dee .010 won with 44% of the vote making this "The World's Smallest Traveling Engine". 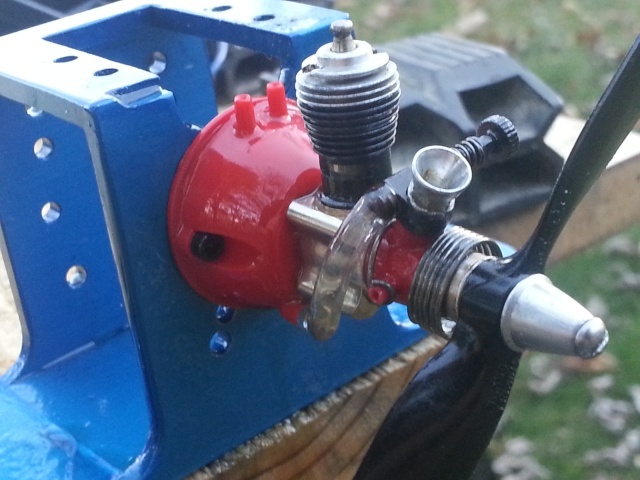 This "World's Smallest Traveling Engine" works in the same fashion as the Traveling Engine Tee Dee .049 and the original Traveling Prop, the engine and all its accessories will be passed from member to member. With its small size and precision parts, the Tee Dee .010 is a fragile engine that must be handled with care. 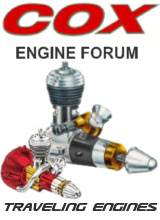 Many parts for this engine are becoming very hard to find and costly. Bernie from Cox International has supplied an assortment of parts as well as a test stand for those who don't have an appropriate model. Because of the value of the engine and the possible cost of major replacement parts (cylinder/piston assemblies, case assembly...), there will be a $5 participation fee. The member requirements for this engine are a little tighter than the ones for the previous Traveling Engine. There will be no exceptions to the requirements. 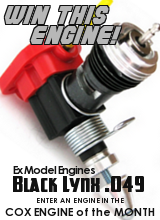 • Must have the supplies (proper fuel, 1.5v power source, glow head clip) NO ELECTRIC STARTERS! 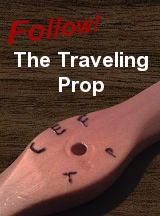 As with the first Traveling Engine, members who receive the engine are to remove the engine and accessories from its case, take a picture of it (running or not), mount it and run it (and or fly it), clean it thoroughly, sign the little signature notebook, repackage it and its accessories and send it off to the next person. A video of the engine being ran or on a model would be great but is not required. Members are strongly encouraged to mount and run the engine. If for some reason a member can't run the engine (because something came up, the proper supplies are not available...), it would be alright if a simple unpacking is done, play with the engine a little, take a picture and sign the notebook. Members are to have the engine no longer than 2 weeks to keep it moving from person to person. If you meet the requirements, you may post a reply below with your city, state or province and country. Do not post any personal information such as personal phone numbers or full addresses. Members who do meet the requirements will be sent a PM with payment instructions (PayPal, Check or Money Order). edited 7:06p.m. PST 9-15-2015 to correct spelling of my home town? Thanks for this, Jacob and Jason. could i fly it at the club with one one of the older chaps? WOO HOOO!! Eric Greeson Julian N.C. Thank You Guys your GRREAT . I thought I was on this list. Well Greg, I suppose rules are rules. I'ts probably not fair on the administrators for you to beg for a shot at this, but I understand your disappointment. It's been great to see a whole lot of guys here doing a lot to help you out and encourage you in this hobby. Heck, the amount of free stuff you've been given is amazing and really shows the generosity of the sort of guys who are members here. I suppose you have to understand here that Jason has taken a huge risk offering up a very precious engine to be used for this event. He may never get it back, or could get it back a little worse for wear, so it is potentially going to cost him dearly. While you may be perfectly capable of handling this engine, there are not many people your age that could. I don't think the 18 year limit is aimed solely at you but is just put there as a safeguard to help preserve the engine. Bend the rules for one and it's hard to enforce it for another. So, sorry for your disappointment, but just remember all the great things this forum has done for you. "Good things come to those who wait". Anyway, enjoy the Tee Dee .049 when it gets there. Sign me up! I've already got my plane ready to go! I would love to participate but I am located too far from the main track of the Traveling TD010 plus I have a couple of them and have run many of them and would not like to take the enjoyment from others who never touched this true gem yet. Instead, I am ready to throw in from my TD010 mini-stock a used but nice cylinder/piston combo so please let me know in case the one on the traveling engine happens to become worn - not that the life expectancy of the TD010 is anything shorter than that of Big Brother TD051 - and my spare is needed. Free of charge of course. Point of these traveling things is to circumnavigate the globe to all the great folks who make CEF the best forum we have ever seen and you are a key contributor. Years from now, I and others will be bored and romp through the final photo albums of the Traveling Prop, Traveling engines and have fond memories of them passing through our places on the way to other distant members. If it works out that this can happen, I'd like to share support on the shipping (both ways) to balogh. Kim, Fred, thank you for your support. My reservation was not related to the cost of shipping. I simply did not want to cause an elongation of the overall time the 010 will have to travel. Thank you for gettingh me included. A lot of generous members on here! balogh, I'll be sure to keep you in mind if we happen to need a cylinder and piston set. Hopefully the one on it hold up, it will sure be put to the test!